Li Xiao Qiao is an artist from the Guangdong province, China, and he is currently earning an MA in printmaking at Camberwell College of Arts in London. His prints, photographs and mixed media works explore his upbringing and identity, as well as the physical, temporal, and psychological aspects of city life. View his EAS profile here. I'd love to know more about your background in the arts—your school in China, and then in the UK. Are you still in England? I have a BA in Visual Arts from Macau Polytechnic Institute, and now I am studying for an MA in printmaking at Camberwell College of Arts, University of Arts London. Did you intend to study art, or did that interest develop later at some point? Today it looks like you're mostly focused on printmaking, including photography. When I was a high school student I had an interest in studying art, but at that time I just preferred drawing. However, when I studied for my BA degree at Macau, I had the opportunity to apply other, different mediums in creating artworks, such as ceramic, sculpture, oil painting, printmaking, etc. So far I just really like to focus on printmaking and photography. I'm very curious about your family portraits on wood and how they are made. Are they photographs you've printed on these small slabs of wood? Where are you getting your materials? 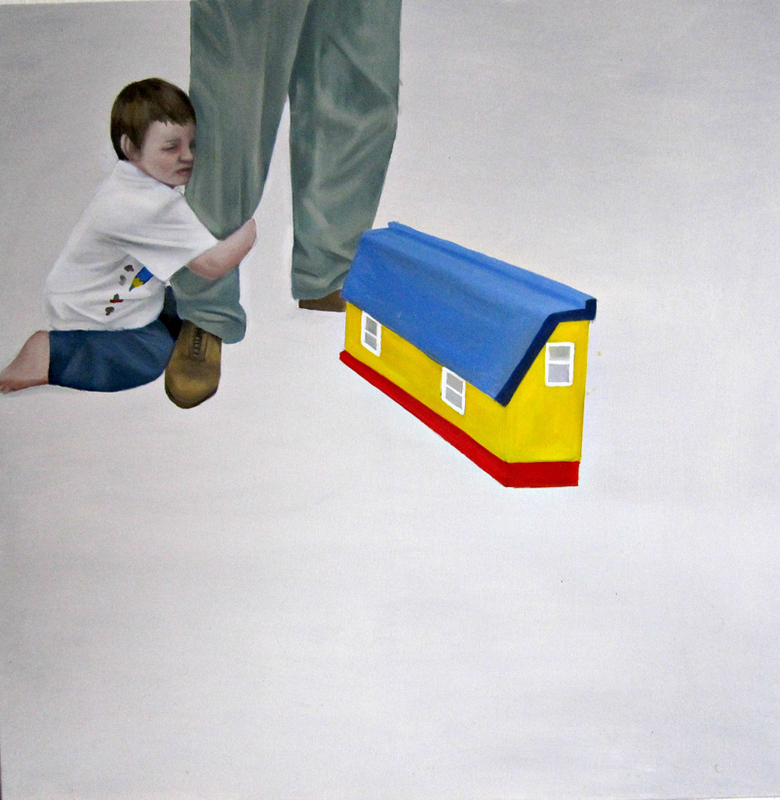 In this series of works I want to explore myself, my family, and my background growing up. I used some found wooden pieces, and mixed them with the printmaking language. The wooden pieces were damaged by outside environmental factors and thus could not be used in woodcarving and woodcut printmaking. However, I found some awesome textures on the wood mouth surface (the cross section of the timber) that are all from nature. On this surface I tried to apply digital printing and screen printing. This is an experiment about materials. Unlike in my previous experience with traditional methods, here I aimed to explore the relationship of material to surface and image. Their illegibility, due to the warp of the wood or its rings or the printing process, makes me think of the difficulty in reading and reconstituting our own memories, especially since these would normally be very recognizable family snapshots or portraits. Do these images and the year 1987 invoke specific memories for you? How did you want to deal with those through these prints? The year 1987 is the year I was born and I grew up at the end of the '80s. That era was China’s reform period, and a time of opening up. There were some important policies that were implemented, such as the one-child policy. When I was born in Guangdong, the new legislation regarding giving birth had only been in effect for a few years. There was a serious restriction on giving birth to a second child, which I am. My parents were being forced to forgo my birth by the government--even my dad was trying to persuade my mom to abort--but she insisted on keeping the baby. I ended up being born into this stressed situation. The memory of my childhood influenced me deeply. Image 1 (left) represents the large financial gap between my neighbor and my family. He is holding the brand new car in hand; in contrast, I could only be given a package of the car, on which I drew a car doodle. The cross section of the timber and the tree rings remind me of each stage from birth to becoming a grown-up, and leaving my childhood playground. The series of the old photos includes the snapshots not only of my family, but also the neighbors and the friends I had when I was 7. I tried to use childhood group photos. My background reflects all of these elements. These patterns and images were printed on the wooden mouth surface to analyze a piece of memory and discuss the relationship between time and memory. What are some of the more blurred or warped images? Are those also family photos? Some of them are my sibling but others are neighbors. Image 2 (right, top) includes two of my faces. It doesn’t show the entire face and the cracks make it more unclear. The irregular shape of the timber and the warped image are like the memory that you want to remember clearly but the further you go, the mistier it is. To create Image 3 (right, bottom), I remade the photo by arranging the sticks and placing them at angles on purpose. The complex crossing lines represent a connection through time--particularly the thick stick on the bottom left goes straight to the center, to my self-portrait. You mentioned the political and social climate of China in the late 1980s—it could feel like the image of the three children, memorialised, solidified in the wooden image would defy the cultural expectations of the day (in the 80s) I know they are very personal but do they feel at all political to you? The images and the climate is that of the story I mentioned earlier. The work itself is not political to me, but the background I think is a political issue. I also really like that you can see the rings of the tree in these, which is always such a lovely measurement of time, but it also keeps the tree, the wood frozen in this one point in time—similar to the children in the photographs. Did that come into play for you at all? Absolutely, I think you are right. Because I really focus on the wood frozen in one point in time particularly. The wood as a material offers a lot about concepts of time, linking to concepts of memory--that is what I want. "Collecting the elements by direct record or photocopy can give me more inspiration. Catching the different feeling with the help of technology can transfer the printmaking language into contemporary art form." It really stresses the role that technology is playing in your work and actually, how the ability to use these tools can serve as further inspiration for you, as opposed to the other way around. Your work couldn't exist without these devices, their conception is contingent on "collecting and "catching" materiality. Can you talk about your process in creating the city and water series? In creating the 'city and water' series, I first found the material to print on––blue print paper. This material can transfer images onto paper by direct exposure. The created effect is really similar to printmaking and photography. This effect inspired me to create this series and to review/revisit the city where I had been living. I walked around the city trying to capture the moments which touched me most. What kind of moments do those tend to be? Why these images? I am an emotional person who can be touched by the street vendors, a ruin, or a lamp in the night. During my studies in Macau, I was living in the old district. My school hall, however, was a modern, tall building in the area. As I walked home late at night with a tired body, I saw a street lamp lighting up the stained wall. I stood there for a while, staring at the wall and imagining that there was a group of elderly people, brewing tea, chatting and sharing their long lives. It was actually a reflection of my hometown. When I saw the scene, it suddenly came to my mind. The emotion and the memory poured out and connected the past and the present moment. Do you see your images of the city as a form of documentation, recording urban changes? Or are you trying to capture something else? I do see my images of the city as a form of documentation to record urban changes, but I also try to capture something which I call the humanity of this flavor. Because every city is unique, every city has a certain taste. To be able to enjoy the different taste from different cities is a meaningful thing. 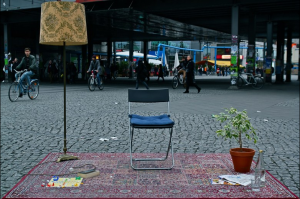 How has your experience living in such different cities informed your interest in urban environments and lifestyles? Are cities and city life a point of commonality across otherwise very different cultures? As mentioned, I was born and grew up in the Guangdong Province in southern China. The town where I grew up and the city of Macau, which is very close, have totally different cultures and ways of living. However, some customs are similar. This informs my interest in both urban environments and lifestyles. I agree that cities and city life are indeed a point of commonality across otherwise different cultures. What encouraged you leave Asia and why go to London, specifically? Has your work changed living away from home and in a very different cultural and artistic environment? I think my answer is a cliché. I want to broaden my view and explore the world as much as possible. The reason why I chose London is the combination of the traditional and the contemporary in this city. Instead of leaving or throwing tradition away, they try to connect them fluently. I have received a lot of visual information this year, allowing me to become bold and see everything in a different light. And, as always, is there anything new you are working on or are excited about? I have two ongoing projects at the moment. I am recently excited about the texture of different surfaces and the short, peaceful, personal time of smoking. View more work by Li Xiao Qiao on his EAS profile here. Ed Haslam is an artist from London and graduate from Manchester University. He explores Western painting traditions and the human psyche through his figurative painting practice. Read his artist statement here. While the human body is a central theme in your work, the subject of dreams or the human unconscious is suggested through facial expressions, brushstrokes, and referential titles––"The Open Window," "Vision," and "Lucid," for example. Can you discuss the dialogue in your paintings between your realist renderings and dreams, which you note in your artist statement "evade scientific explanation."? Dreams and the unconscious hold such a great deal of mystery. Unlike the functions of human organs that are scientifically researched, there is no conclusive evidence to suggest why we dream. Dreams bridge the gap between our unconscious and conscious minds and therefore open an alternative door into exploring deeper issues of the human situation. Dreams have been used in psychotherapy in an attempt to discover repressed emotions that may have been too destructive to fully comprehend in the conscious mind. I'm trying to capture that dialogue between reality and fantasy in the mind. In my paintings, sharply focused areas of paint convincingly inform the viewer that this image is of a human and that it is real. These concise marks merge with looser, accidental forms, creating a balance between accident and ‘truth.’ The intention of this is to draw the viewer's eye into the painting and never leave it with a complete sense of satisfaction. During this process I want the viewer’s mind to wander and reflect upon his or her own feelings. What draws you to depict your subjects' solitary and inward experiences from an onlooker's perspective (such as the portrait of a seated man with his eyes closed in "The Open Window")? In painting, "The Open Window," I was trying to create an image that would hold the viewer's gaze. Once you cast your gaze onto a painting hung on a wall, you have an objective view of the painting. You are in control of the image and can always walk away. So in painting a downcast figure, I hope to invite the viewer in. I have been experimenting with how I can control the gaze so that the viewer wants to keep looking further into the image. Their solitary appearance has more to do with the fact I have only been experimenting with individual poses while I develop my skills as a painter. "The Open Window" is the first painting where I used a glaze, which gives the image a hazy atmosphere. This highlights the subject’s head and pushes the rest of the image behind a translucent curtain. The disorientating marks that form the pattern of his shirt convey a sense of the image breaking away from the concise rendering of his head. I hope that anyone standing in front of the image is constantly drawn around the painting, always towards the subject’s head, but never completely satisfied once there. The eye is drawn into his mind where his downcast pose suggests he is thinking or dreaming. 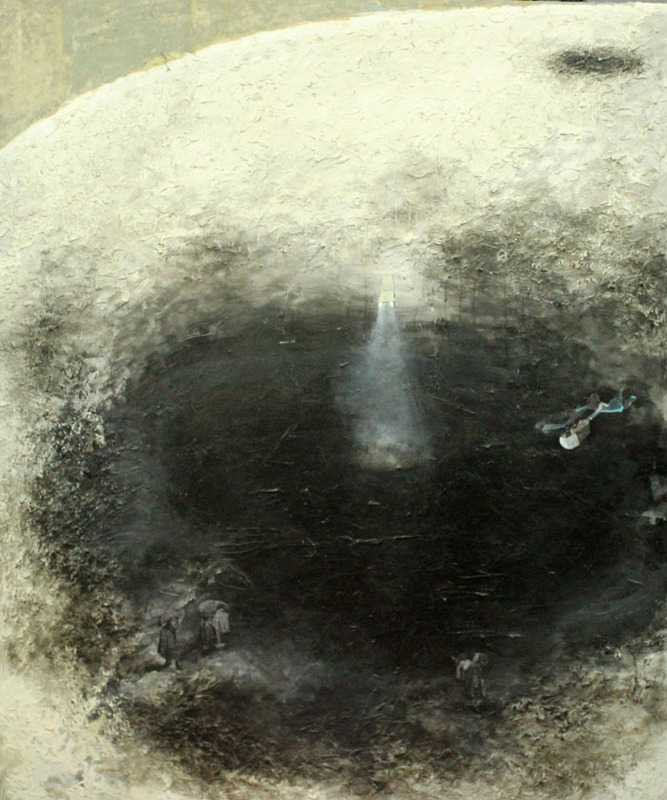 The painting is not an image about his dream, but it displays the sense of a dream state. By leaving so much of the image in a blurred and distorted state, my intention is to displace the sense of a dreaming process onto the viewer. Who are your subjects? Are they primarily drawn from life, or what other reference materials do you use? The subjects featured are all male, is there something in particular about the male psyche that you look to explore in your paintings? My subjects are all friends, chosen because they have a strong sense of character. There is no distinct reasoning behind these choices. It is more instinctual. It is almost as if I have a sense of what I want to convey through the painting and I choose a model who I think will suit it. This is probably why most of my models have been male. There are very strong connotations of beauty attached to painting the female figure that I didn't want to conform to. It is not necessarily that I find the male psyche more interesting but it has certainly lent these early paintings a very raw and powerful sense of emotion. When I have painted the female form I have tried to give the paintwork more weight than the sexuality. I didn't want to create images that glorify femininity from a male perspective or contend with painters like Saville who so successfully contest the sexual objectification of the female form. It has been frustrating to be asked by gallerists for more paintings of the ‘beautiful male model.’ In the future I do not want to make paintings that are perceived only as decorative objects. This has led me away from painting individual works to thinking about a larger project that will have male and female figures interact within a broader space. Two of your works are titled "Temperament Study," and the subjects of your paintings display a range of moods from contemplative to somber or strained in some way. What interests you about the process of creating these studies? What technical attributes of your paintings are you most aware of when depicting a particular mood or expression? These titles were thought of two years into the three that I have been painting. They represent a time in my mind where I was beginning to explore something deeper than the mimetically represented human form. I was trying to convey a sense of emotion beneath the painting that would react with people's own psyche in different ways. In painting these works I was developing ideas about what purpose I want my work to serve. I think the textures that result from the many painting techniques I use are a means to express the emotive quality of an image. If I painted the piece 'Reflection,' in a concise, photo-realist manner, the final painting would be bland and lack the depth that I feel it has. Which artists (historic or contemporary) have had the most influence on your painting style or on your thinking about realist painting generally? Everything stems from Bacon [Francis Bacon (1909-1992)]. 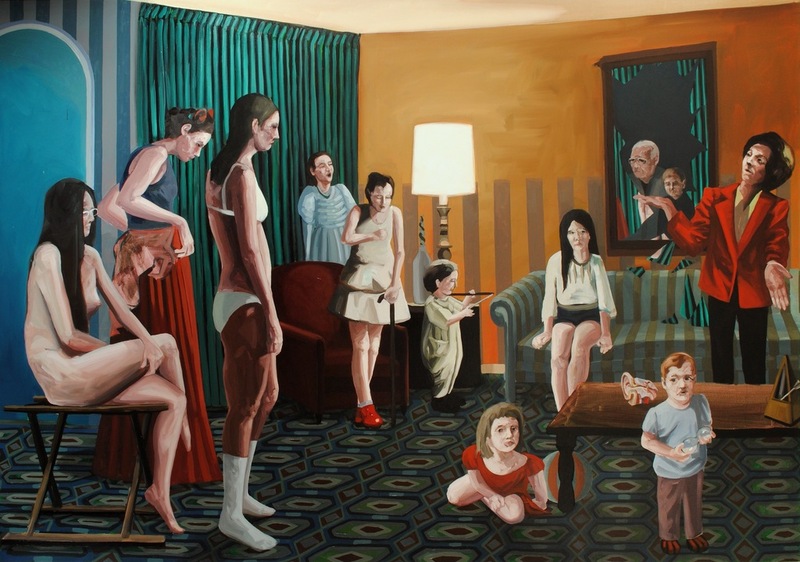 The large majority of contemporary figurative painters have been in awe of his life and work. I am most influenced by the psychology of his images and how I feel when I stand in front of his work. When I was teaching myself to paint, I had an early Saville book open the entire time. It is completely stained in oil and paint and describes my very early development. Since then I have felt myself refine my technique to be less imitative and I now regard mark making with greater purpose. I also studied the Surrealist Movement in school and continue to read about it at great length. So I am now exploring the unconscious desires of the mind through the painted human form. Most recently, I have been looking at Rothko and Bill Viola who have influenced ideas about creating experiential or installation based works with visual images. What are you working on now or what can we expect from your upcoming projects? The next project I am planning is the product of my paintings done in the last year. I'm going to build a square room, wrapped in curtain which when you enter will be like walking into a dream. The viewer will actually be inside the paintings rather than looking onto them objectively. It should be a reflective space that I plan to be an ongoing project involving writers and composers exploring their thoughts and using the space as an initial trigger. 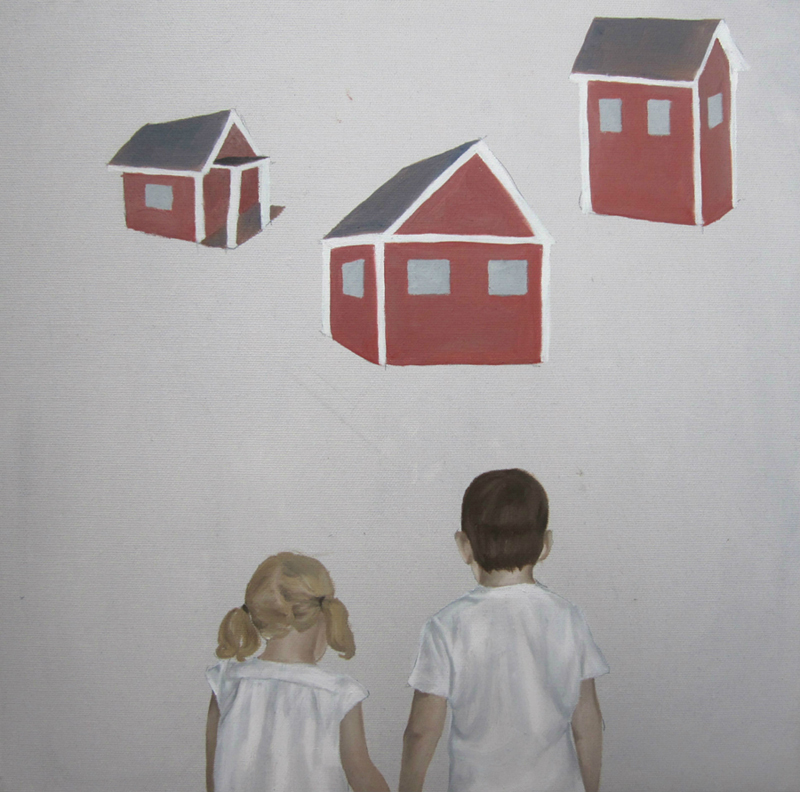 Amanda Karlsson is an artist living and working in Gothenburg, Sweden. In her drawings, paintings, and sculptural installations, Karlsson creates psychological scenes that often explore human alienation and feelings of melancholy. View more images of her work on her website. A lot of your pieces seem to implicitly include a viewer-type figure, someone looking in with their back facing outward; it's like we can (physically) place ourselves in the scene but at the same time it keeps the actual viewer at a (more psychological) distance. It feels like an interesting tension between anonymous voyeurism and alienation or exclusion. How do you want the viewer to position herself vis-à-vis the artwork? What kind of relationship is created between the audience and the work? I always try to convey something that actually needs a response, a reaction if you will. I think that's why it's so important to me to include the viewer, and therefore I try to place my motives in a kind of a reachable perspective. For the viewer not to be a part of what's happening on the canvas but definitely involved—you have to respond to what's portrayed, whether you like it or not. Think of it as a suggestion to a dialogue. I'm asking the question; it would be rude not to answer. I kind of have a problem with the whole narcissistic type of art, art that's only personal to yourself. The potential of art is that you can actually show your creative perception to other people and thus discuss and maybe even learn. This is one of the few ways you can do that, and I think it's amazing. I'm really interested in your concerns with perspective, both compositionally and more ideologically. Are you interested in showing us a particular point of view, yours or otherwise? For many years I have been really inspired by the works from the New Leipzig School movement (Neue Leipziger Schule). Actually it's one of the reasons why I moved to Germany in the first place. The way they handled the combination between abstract and figurative, when I see that type of art I always feel drawn into it. The empty spaces where your mind can rest and wander and the realistic parts where you are forced to pay attention. The facelessness of so many figures in your paintings, for me, created a kind of uncanny melancholy. One of the faces we do see in full is that of a crying child, desperately clinging to his parent's leg; the sense of abandonment is palpable. In another instance, a man trudges out of frame, his cone-head hung low. There's something kind of devastating about all of these. Is your hope to explore or depict any grand human emotional experience, or were these subjects you were drawn to for other reasons? Even the more playful drawings of people climbing the wall suggest struggle! Well, I think struggle interests me, maybe I even admire it a bit. It's such a visible feeling and very relatable. The melancholy on the other hand could be a Scandinavian thing; I find it quite beautiful even if I often use it in, as you said, a more devastating way. I actually think these emotional surroundings are mostly unintentional. I work a lot with separation and abandonment in my works, probably because it's something that really frightens me so it appears on the canvas even if I try to do something completely different. It's somewhat a burden. Loneliness, or the fear of being lonely, is something that I carry with me. Perhaps it's that struggle that appears in my works. On the flip side, the title "Accidentally Entering an empty canvas" is funny, and absurd. The title "Don't Be Picky," applied to the two children literally looking for (at) a home, is pretty sardonic. 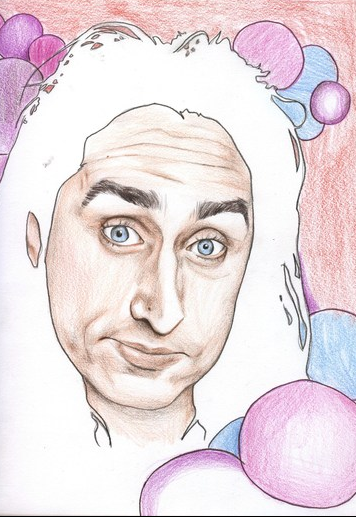 (Plus I think the first portrait shown on your website is hilarious and amazing.) I have two strains of thought regarding the comical and titling of your work: First, why do you think this kind humor or wit, however wicked, is affecting? How do you think the comical or absurd works with perhaps heavier, more depressing realties and themes that come up in your pieces? And then, how much do you have a title in mind when working on a piece? Is there a sense of juxtaposition or irony you're working with? When you put things in contrast [they are] often intensified, and I think that's what happens when I sometimes use quite silly puns in the title, or treat the motives with a bit of sarcasm. Dark humor I suppose—it's funnier because it just doesn't fit in. I like it though because it makes people uncomfortable. In that way they are susceptible to the feeling I'm trying to convey. A suggestion to think in the way I had I mind while doing the piece. With the title, I use it in the same suggestive way, if I can think of a good one before I start. So yes, I think you can say that I'm using it in a sense of juxtaposition. Although if I don't know the title before the piece is done I think that the title accidentally becomes a bit ironic, just to distance myself a bit from it. Do you have different aims or goals working in different mediums? Does working in one, like painting, affect or inform your installations, for example? I approach both installation pieces and paintings in the same way. I think that's why I'm trying to make my paintings like a scene. To be able to be an anonymous bystander in the play that's acting out on canvas. I actually think my first approach to a subject or a piece that I want to do is to do an installation of it, then I just to try translate it into a painting. With drawing it's slightly different—I'm trying to treat it as a sculpture, with cutting and bending and sticking together and so forth. Quite odd now when I think about it, how the mediums overlap. I am going to make some videos soon and I will probably use it as photography. How did you end up in Berlin (and are you still there now)? Has your work changed since moving away from home? Sadly, I have left Berlin. I moved to Gothenburg in Sweden in September after two years in Berlin. It was mostly career reasons really. I have got an amazing studio now and it's a bit easier with paper works. I still miss Berlin sometimes though. My works have definitely changed since I moved from Sweden in the beginning. First when I lived in my not-so-big hometown I always felt excluded from the rest of the world, but when I moved away from there the separation kept turning up in my artworks. That's when the objects I was painting started turning away from viewer. What are you working on now? Anything new you're particularly excited about? I am currently working on a solo show in February here in Gothenburg. Slightly stressed about it because I'm doing 100x100 cm paintings so there's a lot of work to be done. I will be going to Sicily in September to work on a project about abandonment, but probably just the beginning of it because I'm going there for a bit longer next year with a bunch of other artists. In the meantime I'm trying to turn my shared studio into a bit of a gallery as well. View more of Amanda Karlsson's work on her website. Read more interviews led by Emma Drew on EAS here. Artist Statement: These photographs are part of We Walk the Line // Caminamos La Linea, a project that explores how the U.S.-Mexico border affects the lives and identities of young Mexican-Americans inhabiting the San Diego area. Reyna D. Montano grew up in Barrio Logan, San Diego. The contextual photograph was taken in Chicano Park. Fernando Quiñones grew up in Nogales, Sonora, México. The contextual photograph was taken near the U.S.-Mexico Border. Artist Statement: Parque looks at the Chicano Park in the Barrio Logan neighborhood in southeast San Diego. The park is a cultural center for the Chicano community that fought against the city of San Diego to keep the land they were promised before the community was displaced and divided by the construction of the Interstate 5 and Coronado Bridge on ramps. Area residents occupied the land, and landscaped the park with local desert plants and covered the pylons in murals that celebrated local and Chicano culture. The project of Chicano Park is an instance of community’s resilience and creative response to state oppression. Artist Statement: “I am not this body;” This piece takes us to re-think the idea of being a body.Who am I then? Invite us to visit the edges between the matter and the spirit soul. Artist Statement: Huellas 2013 is a video diptych in which the two parts are in conversation. 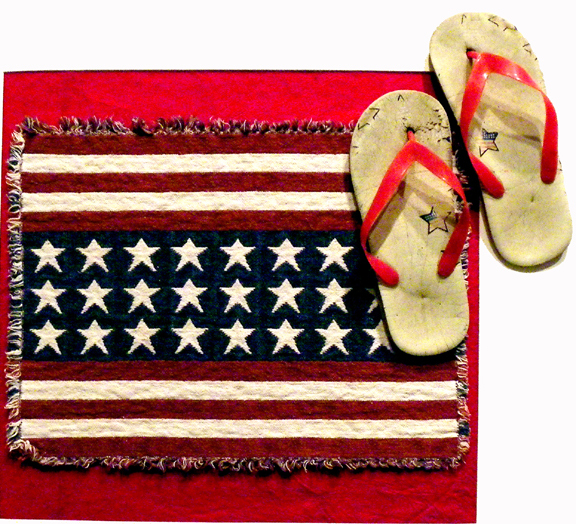 It focuses on the United States and Mexico and their large number of states. Escobar presents to the viewer the border she treads. Artist Statement: From the series Sight & Sound: A photo series documenting street musicians from various cities around the world. It combines photography & audio to create a new experience in a still image. These are musicians from Tijuana, San Diego, and Mexico City. Artist Statement: I use recycled materials in my sculptures to represent the process of change, and transform how the material is received by the audience. By rendering a boat in lace, I juxtapose their respective associations, creating a dialogue between the masculine and the feminine. 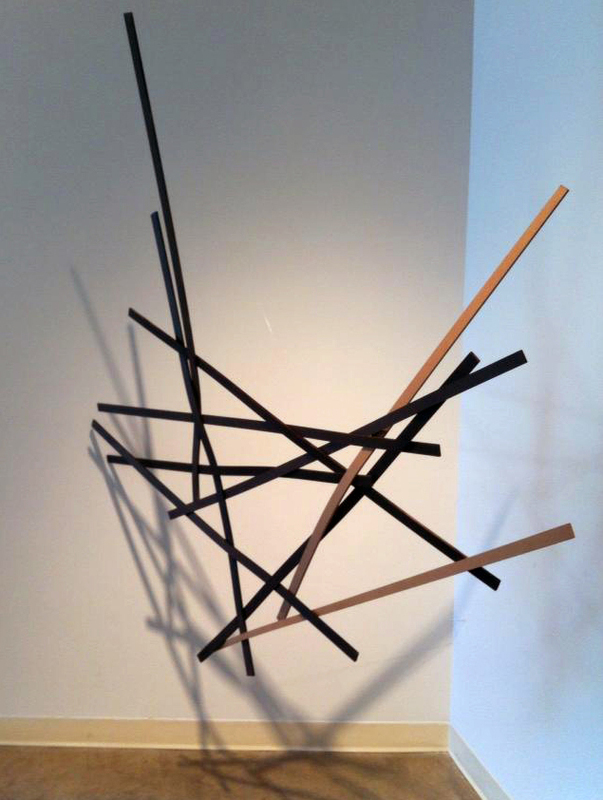 Through manipulating material and form, Adrift evokes a feeling of movement and space. The piece invites the audience to contemplate the light as it moves through the designs, casting patterned shadows across the floor, haunting the space with feelings of romance, distance, longing and memory. Read more about the Cruzando Fronteras exhibition here. Ivana de Vivanco, "Girls Choir"
For over two years, artist Ivana de Vivanco has created paintings inspired by Imagines, an Ancient Greek two-volume text attributed to the Greek writer and Sophist teacher Philostratus. Written in the second century AD, Imagines is a collection of poetic essays, which aim to describe a series of primarily mythological paintings to a young audience. Composed as rhetorical exercises, Philostratus' descriptions are concerned with the works’ narrative elements––the stories being told and mythical characters being portrayed––and pay little to no attention to the artists or technical attributes of the paintings. With no actual material evidence of the ancient paintings’ existence, Vivanco's interest in the ekphrastic form of the Imagines essays initially inspired her artistic undertaking to reconstruct several of the immaterial works from the descriptions. 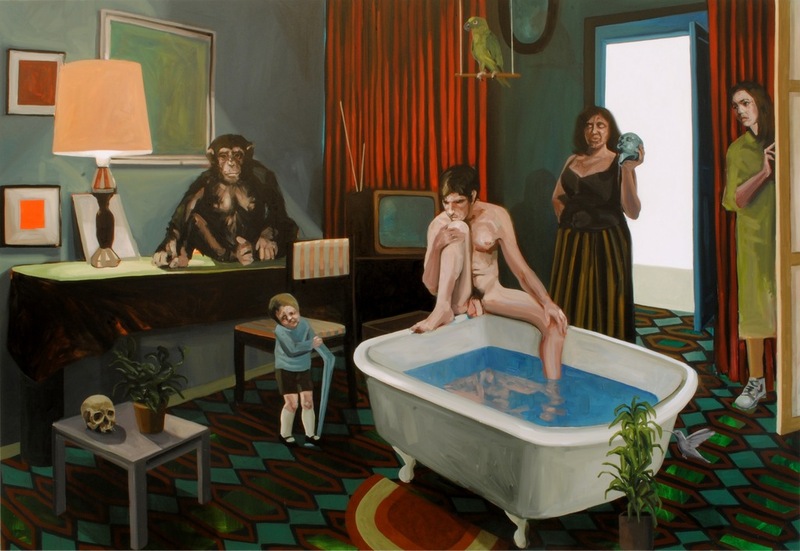 Rendered in large-scale oil paintings, the results depict ghostlike mythical characters painted into unusual settings––that of modern home interiors furnished in 60s or 70s style décor. Through the process, Vivanco reflects on translations between text and image, literary and visual arts, and old historical and contemporary painting practices. Read the Imagines descriptions by Philostratus online here. Originally from Santiago, Chile, Vivanco now lives and works in Leipzig, Germany. She studied at the University of Chile in Santiago and at the Leipzig Academy of Visual Arts. When did you first come across Imagines by Philostratus? What inspired you to create your own paintings from the descriptions? I learned about the existence of the text in another book I read, but I don’t remember which one. What I do remember is that what obsessed me when I started the project based on Imagines by Philostratus was the absence of the pictures described. I was excited by the idea of being somehow the savior of those immaterial paintings. I wanted to reconstruct the descriptions and rescue something like a visual heritage lost forever. I quickly realized that this goal was absurd, not only because the great painters from the Renaissance and Baroque periods already tried reaching that goal, but also because the question concerning the real existence of the paintings and their survival was not really relevant. There were a thousand more interesting issues involved when I decided to create my own pieces from the text in terms of confronting word and image. It was precisely this ekphrasis that helped me complicate my work and reflect on the relationships between poetry and painting. In recreating the real, but 'immaterial' images from the text, in what ways are you translating Philostratus' descriptions and in what ways are you appropriating the images described? What is significant, in your mind, about this process? With ‘translating’ I’m referring, on the one hand, to that exercise of displacement between text and image and vice versa. This is a complex back and forth movement: the Philostratus description born from a picture, then I invent an image from the text, and now here we are again discussing or generating text from the image I created. In this sense, it has been very rewarding to verify how each medium of expression is enriched by exchanging codes of representation with each other. We live in a specific place and time, I have my own story and this obviously determines the images I make. Can you discuss some of the specific directions you were given for one of your paintings and how you chose to interpret them? In Narcissus, for example, what were some of the written descriptions and how did you resolve them in your painting? The great subject of Narcissus is the trap of representation; in fact Narcissus [in the story] is the most tricked by the illusion. The description also definitely addresses vanity. In relation to this, I incorporated new images into my painting including a skull––a main element of Dutch Vanitas paintings––and a boy tangled up in himself, among others. The television sets, lamps, modern furniture, etc., are of course, not from the second century A.D. How did you choose the contemporary elements, and how do they intersect with the narratives and mythological figures presented? Of course, there is a clash between the mythological subject matter and the scenography generated. But it is this contrast or gap between the subject and the setting that is interesting to me. I chose to work with Greek mythology––a commonly represented and discussed topic in art history––and thought it would be completely boring to replicate the already recognizable methods of depicting such familiar stories. It motivates me to collect these myths, common in Western imagery, and give them a twist, look at them from another perspective. One of the ways to do this is by inserting them into unusual spaces: theatrical stages, living rooms, private bedrooms with furniture from the 50s’, 60’s, and 70s, etc. Moreover, in order to interpret Philostratus’ descriptions, I worked with what I have close at hand. I am a thief of images and ideas that I find in literary works, in film frames, theatrical productions, old family albums, pictures that I casually discover in magazines, newspapers, or on the internet, in street markets and corners of the city, and of course, in the history of art. That’s the way I have to work with the theme––using images that are already mine, which I have collected or stolen. In relation to the previous question, what is the dialogue taking place in your works between old historical and contemporary practices? Is this dialogue important to your project? Of course. I think that for all contemporary artists, it should be important to turn around and critically observe or admire old creations. I like to use as much as I can from these walks through the past. In fact, this attitude––between thief and interpreter––is very contemporary. Which artists, whether classic or contemporary, have influenced your work? In the short road I have walked, there are many artists whom I owe so much. The Flemish Primitives such as Memling, Van Eyck, and Van der Weyden are absolutely great; painters from The Dutch School such as Rembrandt, Hals, and Vermeer; from Spain: Velazquez, El Greco, and Goya; and avant-garde innovators such as Manet, van Gogh, Toulouse-Lautrec, and Kirchner. 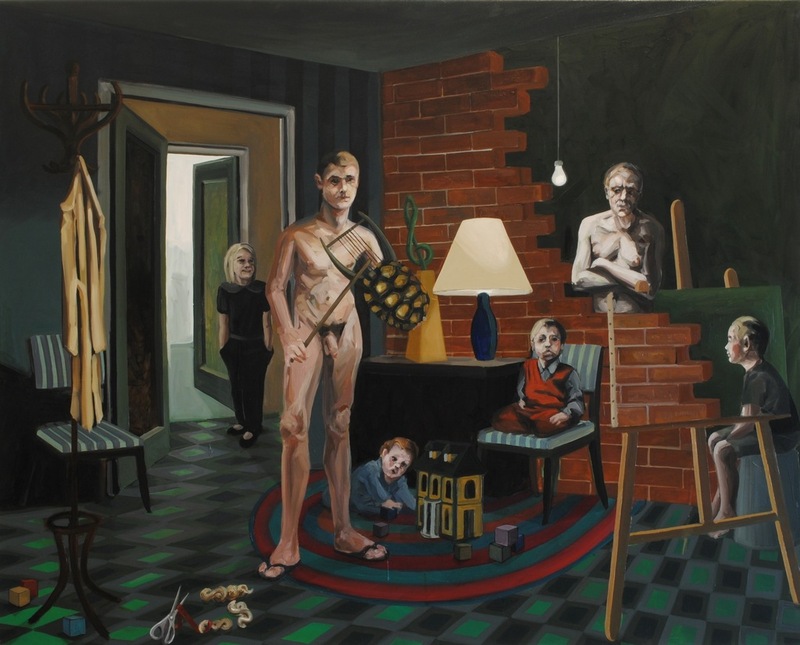 There are also many contemporary influences such as Balthus, Lucian Freud, Bacon, Hockney, Hopper, Paula Rego, Gerhard Richter, Peter Blake, Jeff Wall, and many others from my studies at my school in Leipzig. Your artist statement says you’ve been working with Imagines for two years. What is the scope of this project? Are there other paintings or projects you’re working on outside of this series? For over two years I’ve focused on the Philostratus text. The result was a series of around 14 large paintings, plus several prints and drawings. I am now working on a new project that also brings literature and painting together in different ways. The project is still in its early stages, but when the results begin to materialize, you’ll see what it’s about. Imrana Tanveer is visual artist and writer based in Karachi. She holds degrees from the National College of Arts, Lahore, and Textile Institute of Pakistan, Karachi. Her work incorporates weaving and textile design, and appropriates iconic images from both Western and Pakistani art and culture to address social and political issues, both locally in Pakistan and globally. Emma Drew: For viewers, and coming from someone with a fairly limited knowledge of Pakistani history and politics, how much cultural context do you think is necessary for engaging with your work? What would you like to communicate to the uninitiated? How is that different for the informed viewer? Imrana Tanveer: My work is mostly political and I use the language of satire and wit to address issues, which can be relatable and understandable to both informed viewers and viewers with limited exposure to Pakistan. I believe one cannot get rid of or deny fatal realities of our surroundings; what I see and what is happening around me is reflected in my work. The work of art and its interpretation is subjective. Reading a visual work cannot be divorced from its content, context, and concept; sometimes this meaning is different from the meaning that the artwork really has. For instance, works of art with particular ’titles’ are interpreted in that frame of context, while a work titled “untitled” gives more freedom to think in multifold contexts. (However, I don't like works with no titles—it's like one gives birth to a baby and doesn't name him/her). Therefore, the hardest part of my practice is coming up with titles which best reflect the work visually and conceptually. Sometimes it takes a lot of effort and time to title a work, compared to the execution process. ED: What are your artistic origins? What would you say are some of your important influences (visual and otherwise; for example, I'm thinking of Kahlil Gibran's “Scarecrow” passage you quote)? Did your practice begin with a desire to explore the political, social, etc., or did that develop later on? IT: I was never an artist; never had I thought something of the sort. My father was very strict about studies; I remembered once he slapped me for not filling the right colors in a cockroach drawing. (To tell you the truth I hate cockroaches and at that time I never understood why they have so many legs and why the school and the publisher of the drawing books chose cockroaches among all the creatures for coloring). I used to draw the homes of my neighbors while sitting on my rooftop. I colored the drawing books and painted landscapes. But all that was just a leisure activity and my father always wanted me to be a doctor so he never thought of polishing my artistic instincts, nor was it entertained in the conservative social and familial structure of our country. I graduated from the Textile Institute of Pakistan, Karachi as a textile designer in 2008 and started working in the denim industry. Working there I realized that I am not the kind of designer who just sits in a studio and makes (copies) readymade designs. I wanted to draw and create designs of my own, but the market and industry didn't allow me. A lot of my inspiration and appreciation of art developed during my undergraduate studies, when Sumbul Khan and Rizwanullah Khan were appointed as our Art History teachers. After a year and a half working in the industry, I quit my job and one of my dearest friends suggested I join the National College of Arts (NCA) in Lahore. I joined the Master program in Visual Arts in 2010. Those two years were crucial, as well as helpful in developing and polishing the artist in me. It was hard to understand and learn in an art school as compared to having a background in design, but eventually I learned how to amalgamate design and art to the point where it speaks out loudly. Today, the role of social media is very important. I too spend a lot of my time on the social media websites, my most immediate influences and inspirations come from these platforms. Apart from that, a lot of readings during my studies helped shape my ideas and concerns on a local and global level. The writings of Franz Kafka, Khalil Gibran, George Orwell, Orhan Pamuk, and Nizar Qabbani influenced me. My works often have images of animals, e.g. Black Cat White Cat, imagining a world ruled by animals, referring to Orwell's Animal Farm (in fact, animals are better at ruling than humans; at least they keep system of justice in balance). I love the idea of metaphors, repetitions, and patterns. And I like to portray core ideas using visual language in disguised yet apparent ways. My work is shaped by the happenings of my immediate surroundings. Therefore, the socio-political concerns have been there since the beginning of my practice and are still developing and molding in reference to global scenarios. ED: How do your materials and medium choices work with the content of your work? What formal elements do you feel are most expressive, or necessary, for you? I'd be interested to know how the use of rivets, holes, shadows and mirrors (Post Betrayal and Love Affair, for example) came to be and why you find them useful or fruitful. Are there other mediums you're hoping to work with in the future? IT: My proper practice started during my thesis time. I wandered around old Lahore and found plenty of textile materials, all of a sudden it started making sense to me. At first, I would buy different fabrics and textile materials, later I thought of creating work out of it. Sometimes the medium dictates what I do and sometimes it's vice versa. The tactile quality of the textiles and the use of bold and primary colors are my formal concerns; it gives me much freedom of exploration and expression. One of my post-grad jurors once told me, with great foresight, “You must learn and know when your material becomes your medium.” And it didn't take me long to understand what this meant. 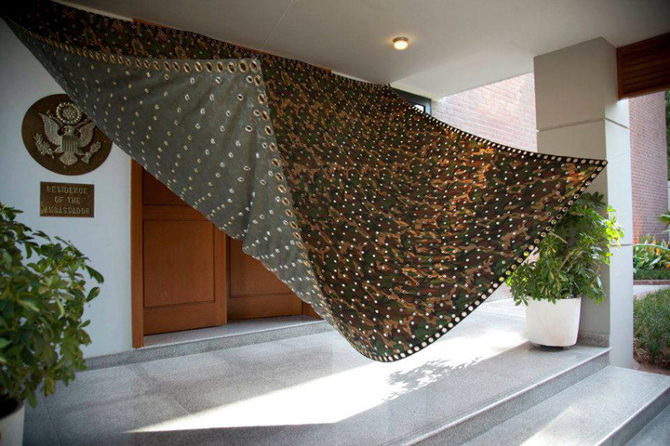 The work “Post Betrayal” was an installation canopy from my thesis work, which evolved and formed after I purchased the camouflage fabric. The market from which I bought the fabric used it to make canopies for shelter from the sun and to cover goods on trucks in bad weather conditions during transportation. The parachute camouflage is also used for tents. I wanted to use that canopy and the process of punching holes by overdoing and repeating the process of punching rivets numerous times: thousands of small metallic rivets punched on camouflage tent representing bullet holes. The purpose of the tent is to protect and provide shelter and the rivet is used to strengthen it, but by overdoing the punching, it represents our own behavior and attitude towards the safety of the state and borders. 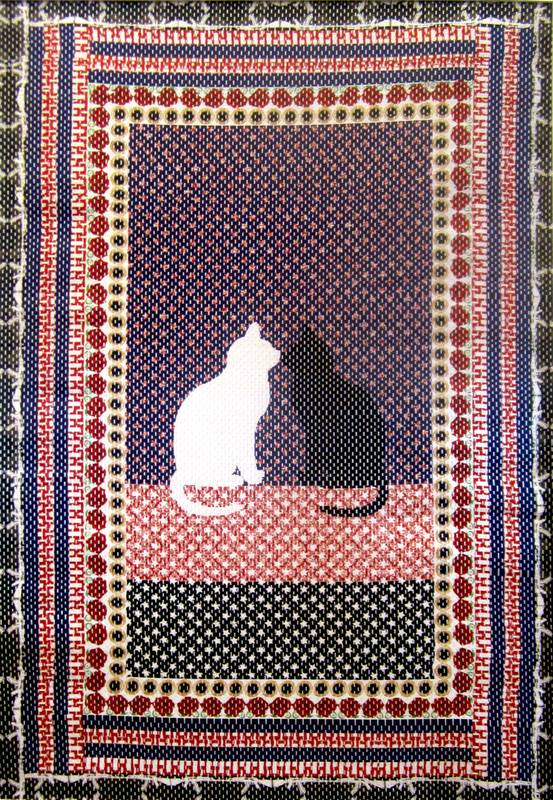 Right now I am focusing on weaving, it is a very vast medium in terms of exploration and experimentation. 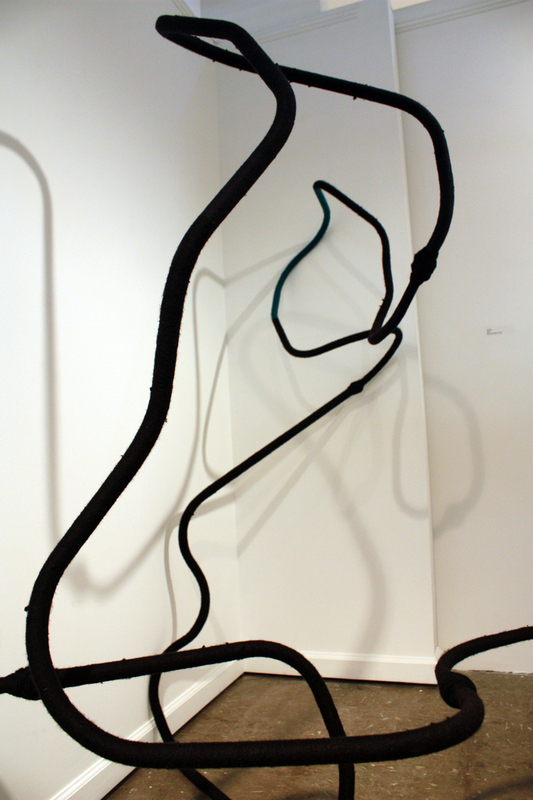 The idea of creating works through weaving compliments and coheres the contextual and conceptual dialogue of my work. It interrogates and enlightens the world we develop and live in by constructing, deconstructing, and reconstructing it again and again. I also draw and paint occasionally but it’s a personal expression. I don't exhibit this, but perhaps I will in the future. How do you think religious, national, and pop iconography, all present in your work, inform our conceptions of identity, religious, national, or other? What draws you to include them in your practice? Because I live with all these. From political talks to bizarre events and from wall chalking or the bombardment of advertisements and the breaking news of any religious, national, or political content––it all affects me and my work practice. I like working with and incorporating metaphors and patterns, and my work varies with the change in current of socio-political scenarios. The “impact” of these events forces me to include such iconography in my practice because these icons are relevant and universal and somehow understandable by wider audiences. ED: Is there a specific relationship you feel you and your work have with Western art (history)? Does that matter for you specifically as a Pakistani, non-Western artist? From Warhol to Goya to Rosie the Riveter and from Mazor chador to Islam to Pakistani history, what role does tradition play in your art? IT: I started incorporating Western Art and iconography in 2013 when I started teaching art history to second year students at the Textile Institute of Pakistan, Karachi. One of the biggest challenges I faced was that students were not able to relate to Western paintings and ideas. So, I started explaining those paintings and visuals to them by plotting it in a local context. And I found there is a lot more to Western or Eastern Art History. Other than the historical context, the generalized idea of a visual can be relatable to anyone. I mean the concept of Goya's Saturn Devouring His Son was always a matter of great interest and irony since ancient times. One can still witness the many sons devoured in the name of terrorism and wars. Similarly when I first saw a Rosie the Riveter poster my immediate response was “Oh really.” Later, I produced a work titled the same, but in contrast to the Riveter, it is an image of men pushing a local train's bogie (as apparently it was low on fuel and the Railway Industry had fallen to bits because of corruption). The role of tradition is very important as I use traditional textile techniques, i.e. weaving. However, I incorporated and amalgamated it with fine arts and it became my medium of expression. This is the case with Mazar chador and Pakistani history. IT: The Triptych [title image] is inspired from three different paintings of 15th century famous Flemish painter Jan Van Eyck: The Lucca Madonna, Virgin and Child, with Saints and Donor, and Arnolfini Wedding Portrait. I wanted to work with the subjects, things, materials, and preferably clothes without any bodies, in order to investigate the ideas in a new context, i.e., how we stereotype or generalize things on the basis of who is wearing what. It's no wonder textiles have always played a vital role in history of mankind and have been the symbol of status, but when we show these textiles and clothes without the wearer it changes the meaning entirely. So the triptych work investigates the role of women in many forms. I am always surprised and haunted by the idea of how people label women in particular; I am not speaking specifically as a feminist, but rather about the behavior of judging or having assumptions about other people. Take the Virgin Mary, she was pious yet accused by her own people, or Sita (Hindu Goddess) who was accused, abducted, and exiled while her husband was away. ED: What kind of reception has your work received? I'd imagine it's been pretty varied—thinking again of Post Betrayal at the residence of the American Ambassador—depending on the audience and exhibition venue. IT: Yes, you are right, my work receives varied reception. But to tell you the truth, it wasn't the American Ambassador who minded displaying such work or registered any kind of offense, but rather my own people. I remember, on the day my thesis show opened, the curator of the gallery made all her efforts to not let visitors see my work and when the people from the American Council General visited the gallery, she sent her assistants to pull off my work Tashakur (Thanks) from display, which I obviously didn't permit. They really welcomed criticism and were friendly to talk about my work and art practice. 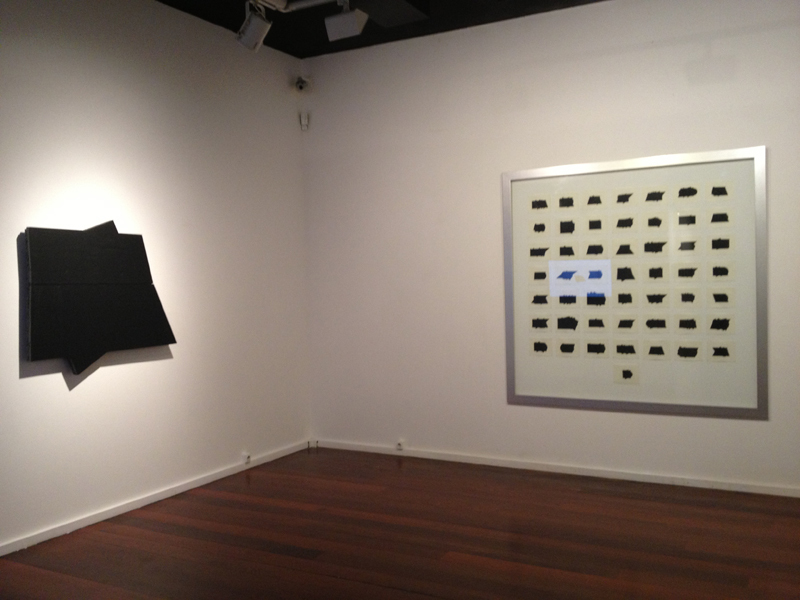 Other than that, my solo exhibition titled “I Saw Two Crows Building a Nest Under His Hat” was considered the one of the Top 10 exhibitions of 2013 in line with Monir Farmanfarmanian, Reza Derakshani, Rana Begum, and Maimouna Guerresi to name a few. Could you talk a little more explicitly about the political and social landscape in Pakistan (or Karachi in particular) that your work engages with and interrogates? How are these realties and issues manifested in your work (or, which specific symbols or icons express best the topics you're interested in or the situation as you see it)? IT: In politics nothing is predictable at all. The Army coup of 1999 led by Chief of Army Staff Musharraf, overthrew Prime Minister Nawaz Sharif, announced a State of Emergency in Pakistan, and then sent Sharif to exile to Saudi Arabia. And in 2013 the current prime minister Nawaz Sharif came back with a bang, got elected, and put Musharraf on trial –a literal example of "Games of Thrones..." Pakistan's social, cultural, and political landscape changes and varies too fast. We are a nation of very emotional and sensitive people. There is a lack of tolerance among people. A flood can unite us or a small quarrel can lead to bloodshed and violence. The country is going through a series of chronic and dreadful problems of political, social, and economic nature, but yet we survive in hopes of Hope. Use of animal forms, patterns, and golden roundels are a few of the symbols common in my work. 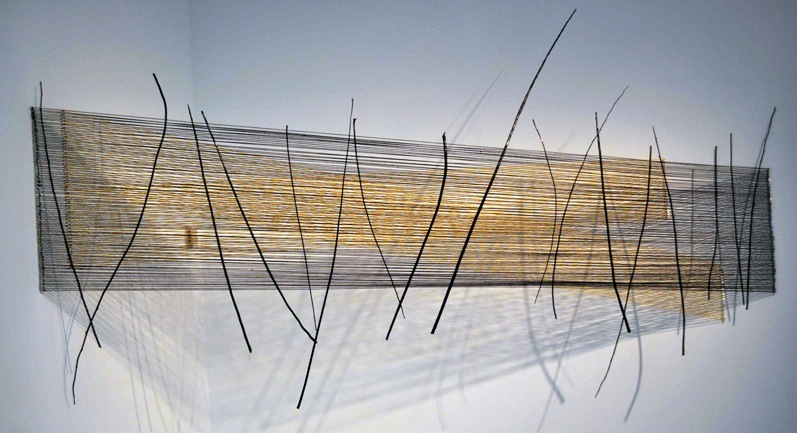 Other than symbols and imagery, the idea of blurring the imagery by weaving is my form of expression. My medium and process of creating and executing the final piece are equally important, too. It interrogates and enlightens the world we develop and live in by constructing, deconstructing and reconstructing it, i.e. through the transmutations in form of the weaves. And all of these find their way towards policies, politics, and culture in a witty, slapstick and satirical format. ED: Thinking in part about the mission of Emergent Art Space--to connect students and artists across cultures--and your interest in cultural identity amidst the global, how do you think your work (and maybe contemporary art in general) addresses or interacts with our ever-expanding sphere of knowledge, experience, and exchange (or, globalization, for lack of a better word)? IT: First of all I congratulate EAS for such a lovely and great initiative, and for providing a platform where students, artists, professionals, teachers and anyone can share his/her knowledge alike. The world has shrunken to the point that there are no boundaries anymore and social media is a great platform to promote and share works with wider audiences in general. There were times when an artist had to look for the galleries; now they have the choice of uploading and showcasing works online as well. You upload something and it spreads virally, which expands knowledge and experience in one way or another. ED: As always, what's next for you? IT: Next is the path with many milestones to achieve. I'm in a state of organizing chaos. I am working towards my exhibitions at home and abroad. Soon I will be presenting my work and a talk at the Islamabad Literary Festival ILF (curated by Lavinia Fillippi, an art historian/curator from Italy) at My Art World Gallery at the end of April. Other than that I'm working for an exhibition in Dubai where my work got selected among Golden Winners category. ED: How has teaching and writing changed your own practice as an artist and your interaction with the art world? Do you have different goals you're trying to accomplish as a teacher, as a writer, and as an artist? IT: Teaching helps me to learn more about history and to contextualize my work. Writing on the other hand is very poetic and more occasional; I write when I feel like writing or I feel it reveals something to me. I always write a paper about my exhibitions to articulate my work. I am more focused in my art practice, sacred about writing, and honest about teaching. And all three are coherent. View Imrana Tanveer's EAS profile here. Rubén Oliva Ros is an artist, curator, and freelance graphic designer living and working in the Canary Islands, Spain. 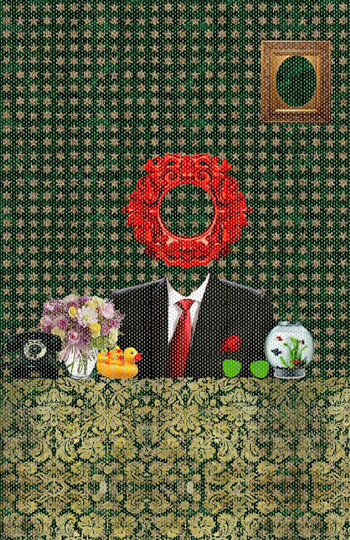 He works primarily in drawing, video art, and digital collage, examining contemporary relationships between art and digital image making. He recently completed a Fine Arts degree at La Laguna University. Visit his blog here. Artist Statement: I am interested in Illustration, concept and relational art, and searching for a field between theoretical and formal ways of making artistic projects. Where are you originally from? What is your background in art or when did you get involved in making work? I was born in Gran Canaria in the Canary Islands, Spain. I’ve been drawing since I was a child and simply grew up with art. My artistic and academic formation began with an art and design degree at Universidad de Las Palmas de Gran Canaria where I learned illustration and graphic design. After a few months working as a freelancer, I decided to get a Fine Arts degree at La Laguna University (Tenerife, Canary Islands), which I finished a few months ago. Currently I am working as a creative and graphic designer for an e-learning company based in Las Palmas de Gran Canaria. I often collaborate as an artist or curator with local museums and galleries including recently at one of the side galleries of the Centro Atlántico de Arte Moderno (CAAM) where I currently have a piece in the exhibition, “Territorio Okupado (TOK)." You note “illustration, concept and relational art” as prominent in your work. What do you mean by “relational art” with regard to your work? Well ‘relational’ is not a new term in contemporary art. When I talk about ‘relation,’ I mean that I’m really interested in interacting with the public in a plastic way. I’d love to see how people would create work using my artworks. Even if they wanted to sign it as their own, that'd be okay with me. I think we live in a world of interactive, connected and shared experiences. I don’t want people to interpret my works. I want people to take part in them, to affect them, and transform them. 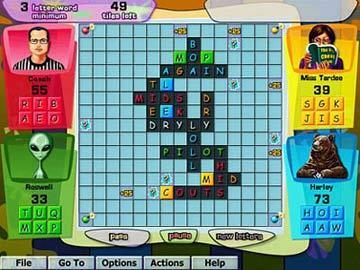 The grid, digital mosaics, or modular compositions are used in many of your pieces. Are there specific reasons for using this device? That is another manifestation of my work. I’ve always searched for some order in chaos. Those mosaics, those structures, are my own order within the chaos. However, I don’t want to impose the structure, it is more a suggestion of structure to me. Most artworks out there are suggestions, proposals, or approaches. My work is as well. Can you discuss the Mosaico project? 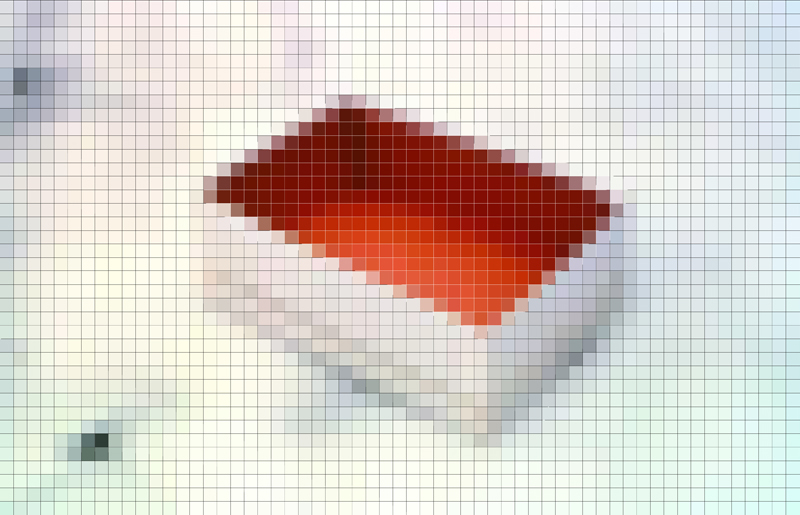 What is the relationship between the chosen subjects and the digital pixilation? 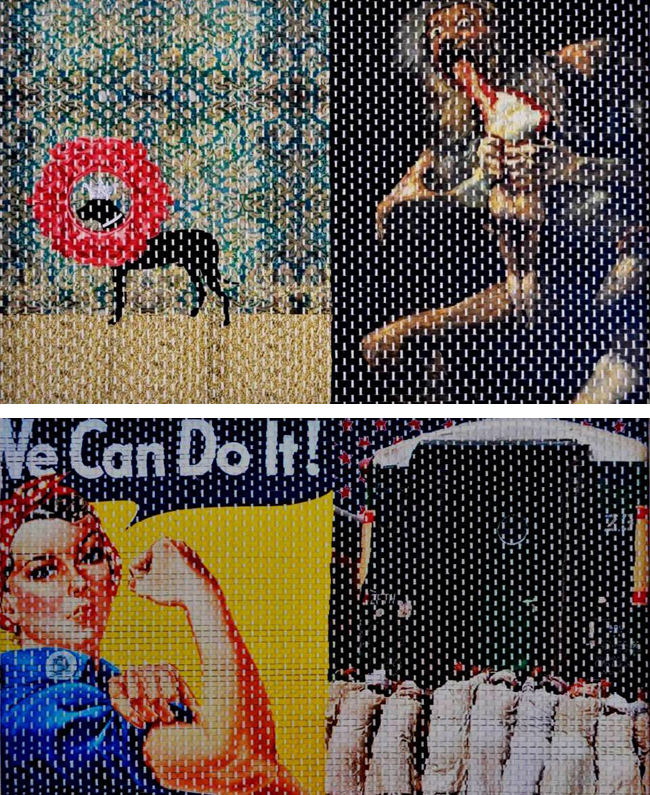 Mosaico project is about mass media images divided into small units that can be manipulated. The idea is to create mosaics that people can interact with or even grab pieces of the artwork and take them home. Right now I only have sketches and digital images, but in the near future, I would like to translate those images into murals. That way people could have their own Mosaico project piece and do whaetver they want with it. I have considered several options such as creating some sort of blog, website or mobile app where people can show what they’re doing with those small units of information. 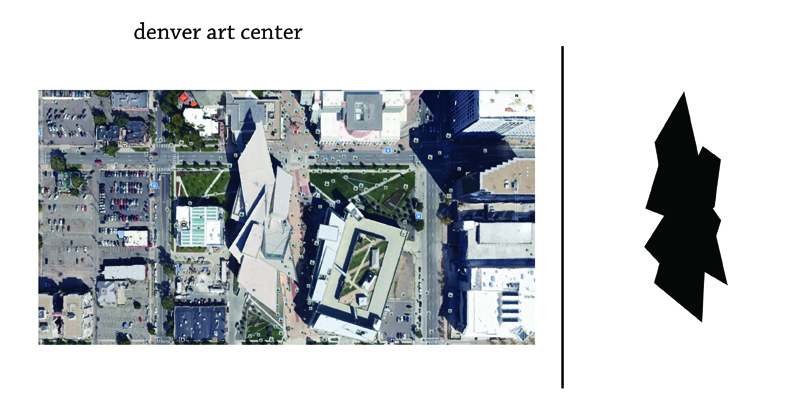 In Requiescat (Art-Lie) and Requiescat 2.0, figures from Google Earth images of the Denver Art Museum and other buildings are isolated and repeated. How did these works come about? Can you discuss the connections between art, architecture, and the ‘Google Earth view’ in these pieces? Requiescat is one of my most critical projects. It is based on Ludwig Wittgenstein’s Tractatus Logico-philosophicus, and is all about language. All the black geometric shapes imply words, turning significations into images through the opposite process used in concept art of the late 60s and 70s. Right after a group exhibition called “25 ft. Orientaciones,” (2012), curated by Ramón Salas (a local expert in contemporary art history and a professor at La Laguna University), I started a new way of working displayed in Requiescat 2.0. By turning post-modern buildings, such as many actual galleries and museums, into some kind of linguistic code, I am creating a speculative new language. That is why I use Google Earth, to use the aerial images of all these new architectural structures and create a cryptic, unique code. 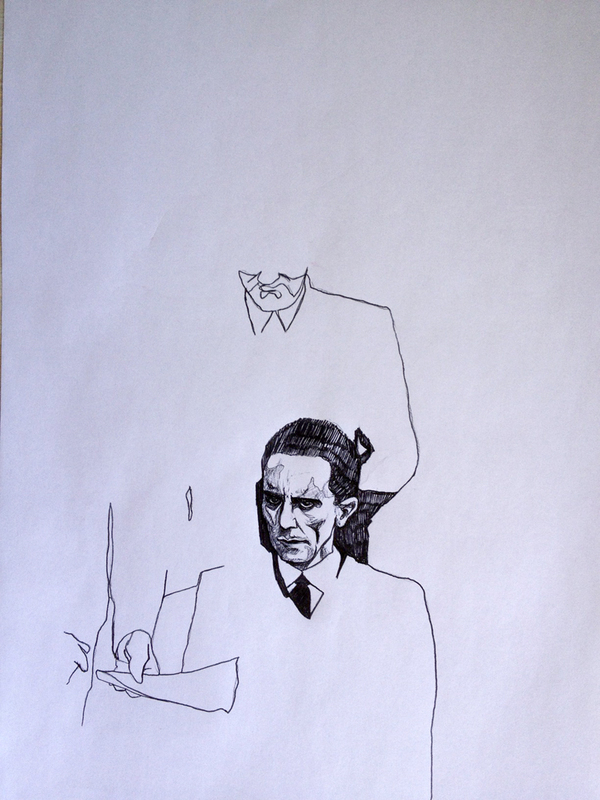 Your work Goebbels by Eisenstaedt, is a striking BIC pen drawing of a famous historical photograph. What interested you in Eisenstaedt’s work? Why that particular photograph? Goebbels by Eisenstaedt is a calling for attention. It is meant as an explicit warning. I wanted to catch the depth and power of the original photograph, but in a sketched and fragmentary state. Maybe we are living in a world that is turning that way––sketchy, partisan and fragmentary. And we’re unable to know if it’s something good, bad or for whom. Where have you exhibited your work? What projects are you working on now? I have done several collective exhibitions. The first one was back in 2009, while I was studying at Gran Canaria Art School when I was 17. After that, while I lived in Tenerife, I participated in nine exhibitions and as an artist and curator in my last exhibition, “Generación Difusa.” Currently I have an artwork in San Antonio ABAD, one of the side galleries of CAAM. 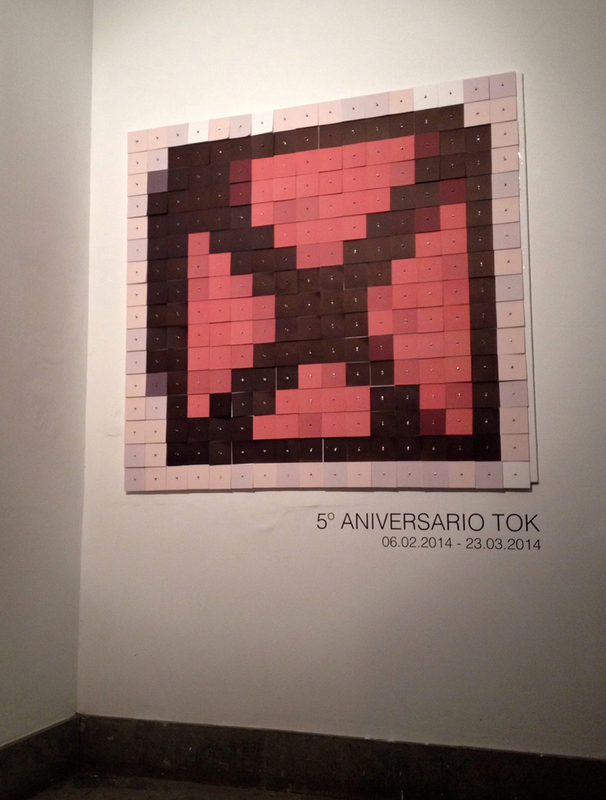 It is part of the “Territorio Okupado (TOK)," 5th anniversary group show. 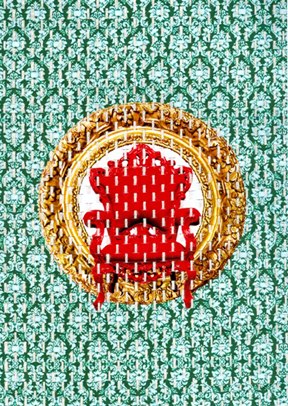 I also have various works in progress, such as the Mosaico project and other curatorial work as well as my art blog (currently only available in Spanish): http://rubenolivasant01.blogspot.com.es/. P.S. I would like to thank to my partner Isabel López, a professional translator, for helping me with this interview. And also Emergent Art Space, for giving me the opportunity to talk about my work. Melissa Hill is an artist living and working in Fairfax, Virginia (USA). 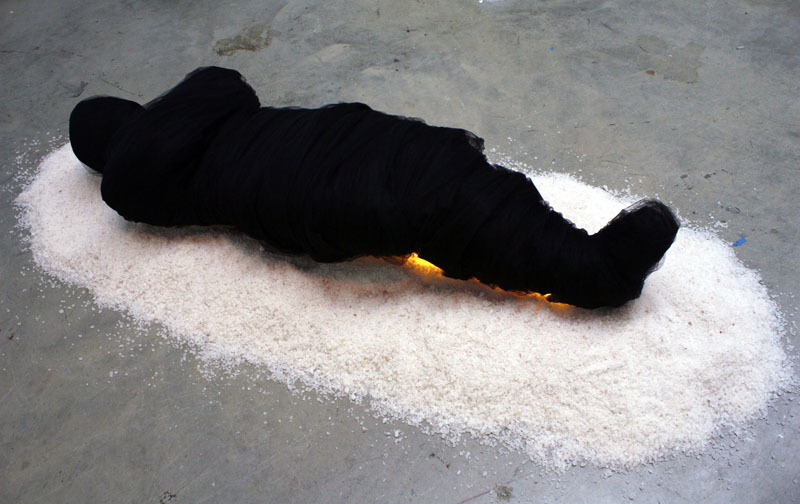 Her work openly addresses the difficult themes of death and loss, often through the creation of non-narrative sculptural forms. She is currently earning her Masters of Fine Arts at George Mason University. Artist Statement: "Artworks can be a reflection of the accumulation of events that have occurred in an artist’s life. I approach all of my pieces through this type of interpretative lens, and it is therefore a major driving force behind my work. In keeping with this concept, my work concentrates on interrogating the confluence of issues that most people would rather leave untouched. Perhaps this is most evident in the way my works interrogate and engage death and its inevitability. The aftermath of death remains a great mystery to us, a veil that cannot be penetrated even with our technological prowess and scientific advancements. I try to mold that mystery into a form, creating a tangible representation of an intangible concept..." Read More. Emma Drew: You are very forthright about your personal experiences of the death of loved ones influencing your work, but I'd be curious to know if those events served as a main impetus in beginning your practice or if they became more of a focus once you had already started developing as an artist. Basically, what do you see as some of the origins of your work? Melissa Hill: My high school career started out pretty normally, but by my junior year I had lost three people on the maternal side of my family that were really important to me. Because of this, I started to withdraw into myself and eventually I had a huge falling out with most of my friends who didn’t understand why I was acting the way I was. I think that’s about the time that I really started to delve into art. I started with illustrating stories from my childhood, but also did some painting and assemblage sculpture. A frequent subject in my work back then was the myth of Icarus. I was fascinated by the story of someone who wanted to stretch their wings and escape from their current situation. I wanted to fly away, but the story of Icarus is sobering: in his pride he flew too high and fell to his demise. I probably felt some resonance between his situation and mine--both captured in a reality that we didn’t want to be in. But unlike him, I knew that eventually all realities have to be faced. So while my art was my wings, I never fooled myself into believing that it would allow me to really get away from my problems, it just helped me to cope with them. ED: Since you so openly concern your practice with death and loss, is your work meant to be palliative, for you or your viewers? Or perhaps meant as a part of the grieving or healing process? MH: I would have to say that my work is both an analgesic and simultaneously something that is meant to facilitate the healing process for myself and hopefully viewers. I feel that, at the very root, when people are gone there is a hole left where they once were. Try as we might to fill that void with things or memories or events, it’s not possible to completely erase it. As such, I think that any attempt to “cure” the woes of those who have lost is foolhardy at best and fundamentally damaging at worst. I see my works as windows through which we can engage and touch the pain of the past, not to forget it, or to alter it, but to learn from it and grow. ED: Do you think of your finished work as itself in process rather than as stand alone objects? MH: Heraclitus said that we could never step twice into the same river, and I see art in the same way. We never approach the same work with the same perspective, and because of this, I feel that art is in a constant state of contingency. I make meaning when I create a work, but the viewer invests that work with a completely new meaning. ED: How or why do you find these types of sculptures, from this year (non-narrative, non-representational) appropriate for the ideas you're exploring? How do their formal elements play into thematic concerns? MH: I think that the non-narrative, non-representational aspect of my works is what really drives home the point about death and the human element that interacts with it. Death is a veil, a shroud behind which lies perhaps the greatest mystery we will ever encounter. People run from it, run towards it, cower in the site of it, plead to escape it, and long to embrace it, but in the end, we don’t know what it looks like or what is on the other side of it. To me, death is the place where narratives stop and narratives start, but since I cannot see beyond the shroud I have no reference upon which to build those narratives. In much the same way, I cannot give it a meaningful representational form. And so my works are made manifest through my own anxieties and anxieties that I think everyone feels at some point or another. Perhaps the most important aspect of this is the light and the shadows and the space outside of the space. The space between the viewer and the work is something like the space between their now and their end. We don’t know when the end will come, bends and shadows block our view, but we know it comes nonetheless. The light and the shadows represent the world in which we walk, our faces held up towards the light for as long as possible, as the shadows of what will come slowly spread out beneath the surface. ED: You seem interested in futility, or human attempts that are ultimately rendered futile (ie, immortality, bringing those gone back to life, creating "life everlasting"). The title "Tilting at Windmills," blatantly suggests a Quixotic level of delusion. How do we move forward in the face of such (known) futility? Do you think art plays a role in our persistence, even against stacked odds? MH: I think that art can do both. I will be the first person to acknowledge that I am an escapist. I read to escape, I play games to escape, I create to escape. In my opinion artwork can help us escape, but we have to understand that escaping is not dealing, it’s not coping, and it’s not facing. I think the burden of using art as a tool for perseverance or to perpetuate a false reality falls on the viewer. In the end we can only take from a work the things that we desire to take from the work. ED: How do you feel your work has changed in the past few years? MH: I think that when I first started school I was ill equipped as an artist to deal with the subject matter that I wanted to deal with. I felt as though I danced around issues and only superficially interrogated the topics that I wanted to approach. Last year I decided that no matter how hard things became, I would use my artwork as a way to pour out my feelings, to give them a physical manifestation that would be impossible for me to ignore. Two years ago I couldn’t even tell someone that my work dealt with death; today I understand that my work not only deals with death and a sense of loss, but with the crippling fear and understanding that the deaths and losses that I have experienced will eventually be added to. To me, my work is cathartic. I won’t say that I’m more comfortable in my own skin than I was two years ago, but I’m certainly more confident that my artwork more aptly reflects my internal universe. ED: In tandem with the previous question, do you know what's next? MH: I would regret to say that I will “move on” from the emotional turmoil that has informed my work so far, but I feel that after the outpouring that I’ve undergone I am better prepared to explore new epistemological and ontological processes. I think that I will continue to reflect inward and continue to extract personal narratives in my future work, but I feel as though I am poised on the edge of something new and I find it to be quite exciting. I have spent a lot of time thinking about the telling of tales and the memories of stories being told, and I think that my future work will perhaps reconstruct to the memories of those narrative processes in a tangible form. 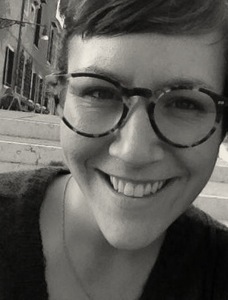 Emma Drew is a museum educator and server living in San Francisco. She graduated from Wesleyan University in 2010, where she studied European philosophy and literature and wrote a graphic novella about the Dust Bowl. Jayeti Bhattacharya is an artist living and working in Kolkata, India. She is currently pursuing a Master of Fine Arts at the Kala Bhavana (Institute of Fine Arts) in Santiniketan, India. Many of her works include a combination of painting and mixed media, and address overarching themes of 'nature' through painted visual narratives. Artist Statement: I always wonder about the wonderful yet overpowering nature we are surrounded by. This greatly inspires me. The questions of existence often occur to me. The hugeness and destructiveness of nature influence me to use heavy pigments in my process. We as humans don’t know why we exist, so in many ways we are always on a search. I hope for this searching process to lead me to new approaches to my work. When did you become involved in art growing up? From childhood I used to draw by myself with paints and crayons in my sketchbook without having had any formal training until I went to art school after high school. Besides the support of my family, it was my teacher, Mr. Samindranath Majumder, who played a very important role in communicating the knowledge and sense of visualization to me and led me to the world of art. From there, I came across various books of art history and contemporary art. I took interdisciplinary classes where classmates and I worked together, had regular discussions, exchanged thoughts and ideas, and lived within art. Why did you decide to pursue a Masters program in art at the Kala Bhavana (Institute of Fine Arts)? What is your concentration there? For me, Kala Bhavana is the only art institution in India where one can pursue their creative work freely without the pressure of academics. I enjoyed the individual space in Bhavana a lot because I had never had the opportunity to work in an individual studio. I have a special affection for the place because it has a rich cultural heritage. It belongs to many pioneers of Indian painting including Rabindranath Tagore, Nandalal Bose, Ramkinkar Baiz and Benodbehari Mukhopadhaya. The environment here is very serene, playing an important role in my self-development. Nature plays a vital role in my work and I feel very close to land and nature in Kala Bhavana, Santiniketan. Many of your pieces are created with a combination of drawing, painting, collaged images and a variety of other materials on canvas. Have you always worked in mixed media? How do you choose your materials? Majority of my works are mixed media, but I never stick to a definite medium. I begin painting, and as the process continues, I playfully use materials here and there as needed. Truly, I never plan in order to paint. Through the process and time, my associations become a part of my work. I choose materials at the points when I am in between working. I have a tendency of making my work look heavy. Pieces such as “Lost World” or “Road Not Taken,” convey a visual narrative to the viewer. What inspires the narrative elements in your work? For example, how did the piece, “Road Not Taken” come about? I think the images in my pieces and the titles of my pieces play an important role in creating narratives in my work. The titles of my pieces open them to different interpretations, which help the viewer find new dimensions within the work. One of my favorite artists is Bansksy. I love the way he uses the surrounding environment in his thinking. I used an image of his work in my piece “Road Not Taken.” In a way, I thought I was adding his ideas to the land and space I created within the work. 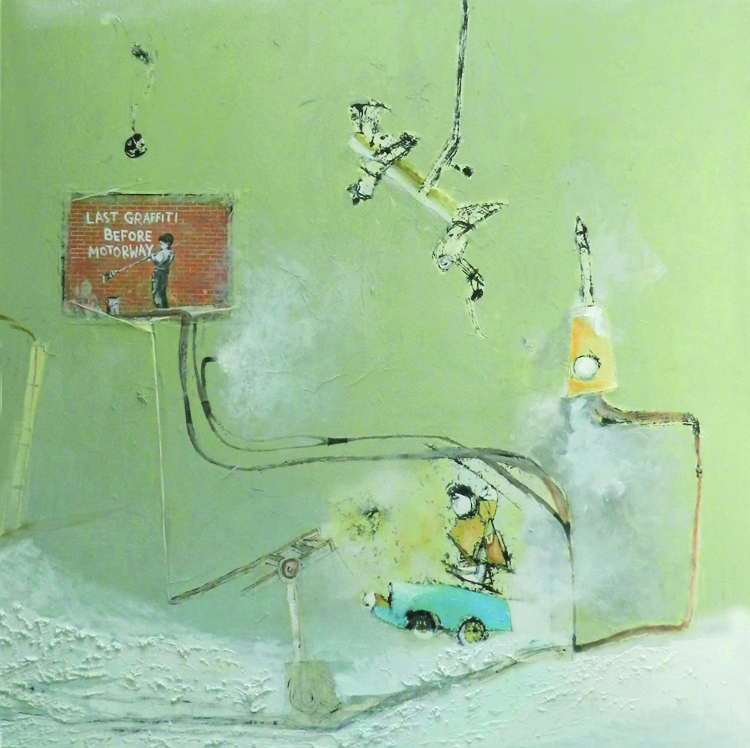 In the painting, the car, the person and the rocket, are all in search of existence before Banksy’s, Last Graffiti Before Motorway, so I named the piece, “Road Not Taken,” as I felt, perhaps I have taken the other road for my search. Your artist statement emphasizes “overpowering nature,” “existence,” and "destructiveness." Based on these subjects, what reoccurring images are you most drawn to in your work? Overpowering nature, existence and destructiveness are themes that come to me over and over again through various forms in my paintings. In my work I often have the sense of creating a huge land with a rough and broken surface, a “heavy” atmosphere. We are so tiny in comparison to nature. It makes me shiver to think of our existence–– as if these overpowering environments will engulf us. I am just in a process of passionate search. How do you view your role as an artist in Kolkata? What other projects are you working on now? I feel blessed to be born in the cultural capital of Kolkata, India. Definitely living in such an environment helped me to carve my own way with freedom of thought. Currently, I am continuing to experiment with different mediums. 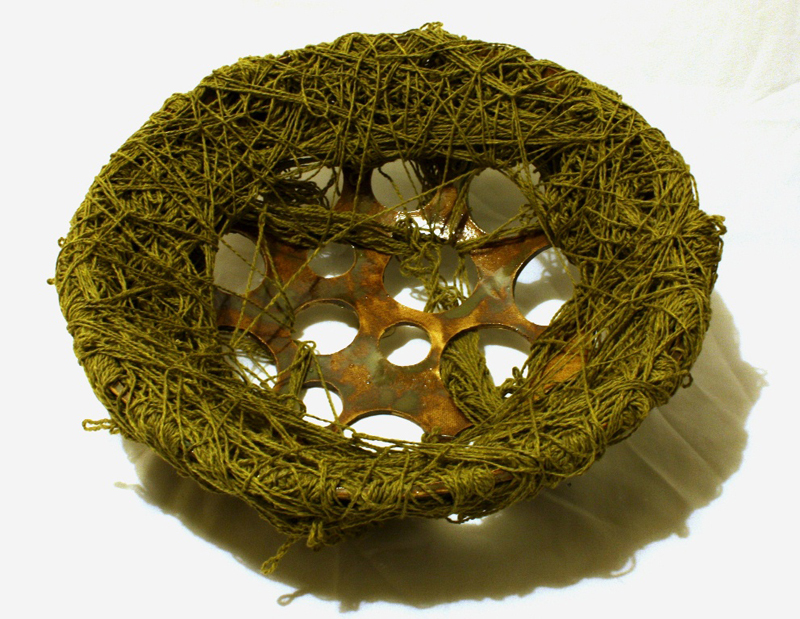 I am in the process of working with natural materials from earth (leaves, land particles, etc. ), which I have a close relationship to through the garden of the house I grew up in and the surroundings of the house where I live in Santiniketan. I am using these materials in my paintings in the hope that they will create a new dimension within my work. Rachel Marks is a young artist living and working in Paris, France. She earned a BFA from Oklahoma State University where she participated in an artist residency in Siena (2009) and studied abroad at the University of Hertfordshire in London (2010). 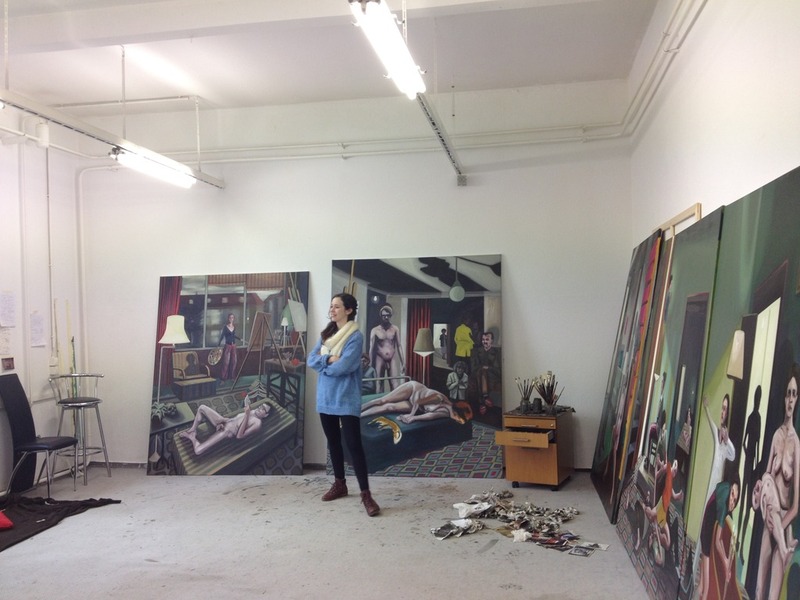 After a year in Prague (2011 - 2012) teaching art to children, she obtained a Master’s degree at the Higher School of Art and Design in Grenoble, France (2013). Rachel has exhibited her work internationally in the United States, Italy, England and France. Visit her website here. When and why did you move from the U.S to Paris? How has the experience of growing up in two cultures influenced your work? My first experience in Europe was in 2009 at an artist residency in a villa close to Siena, Italy called Spannocchia. I was completely blown away by the new sounds and images there. Inspired to discover more, I lived in London where I studied art at the University of Hertfordshire and afterwards in Prague where I taught art and English. After Prague, I decided to take on the challenge of doing my Master of Fine Arts in Grenoble, France. I wanted to learn a new language and experience the European perspective on art. In the United States, I completed my Bachelor of Fine Arts at Oklahoma State University. 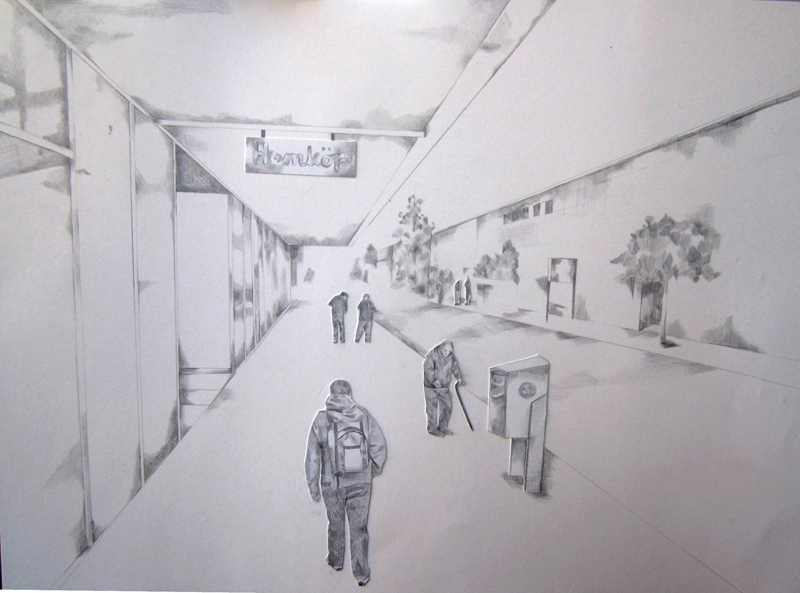 I received very technical training there in drawing and painting, whereas at the school of art and design (École Supérieure d'Art et Design) in Grenoble, I had a very open and contemporary experience of art. My work transformed tremendously from being exposed to European culture and the Europoean approach to making art. I have opened my practice to include found objects, installation and sound. After I finished my Master's, I moved to Paris. During my studies, I did an internship in Paris at the Bugada et Cargnel gallery in Belleville. I moved to Paris to experience its wonderful imagery and sound while being able to enjoy the art scene as well. This area inspires me because it is really the melting pot of Paris. Walking down the street, you hear a mixture of at least ten languages and the lively sounds of the city. Each time is unique and exciting. Where is the text in the piece French Identity from? How did the piece come about? French Identity was spawned from my experience of learning French. Understanding very little of the language, I wrote down words that I heard in my daily life. At night I wrote these words over and over in order to practice and learn them. The new sounds around me, and how to implicate myself inside them, became an obsession. 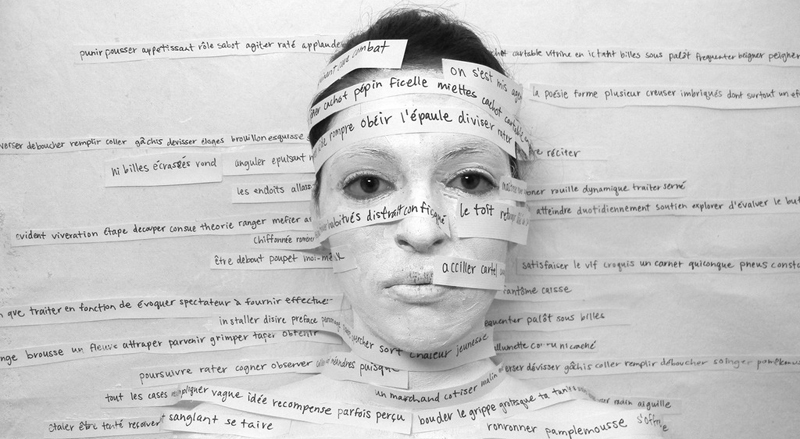 French Identity was a way of documenting my journey of taking on a new identity. The text is from the words I wrote down repetitively in order to integrate myself into the language. This series is a representation of my way of learning French and finding myself within a world of new sounds. You have a background in music and dance including interests in several dance forms, piano, flute and choir. How are the representations of music, such as sheet music, sound waves, and other explicit references to music in your work related to this background? I have always been interested in the relationship between sound and image. Ballet is a way to express music and stimulated my interest in the subject. My work is also greatly influenced by my music studies. 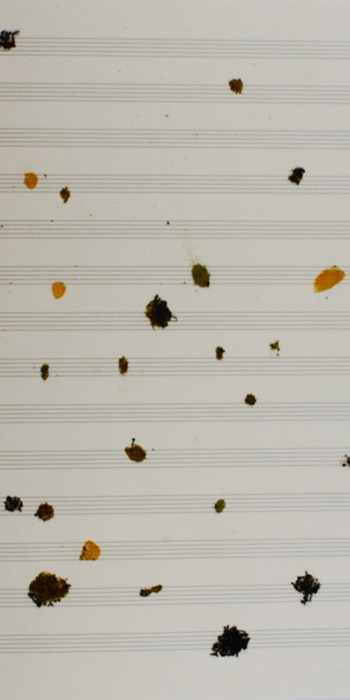 I like exploring sheet music because it is a visual illustration of sound. Even learning new languages has allowed me to examine sound in new ways. Through creating, I am able to research and explore different types and representations of sound. Can you describe your series Color Language? How has this project allowed you to reflect on the intersections between sound, language, and their visual representations? For my Master’s I wrote my thesis about the relationship between color and sound. While researching, I found that not only can the word for color change, but the many words for a specific color and its classifications can change as well. I asked different people in Paris to say the three primary (red, yellow, blue) and secondary (purple, green, orange) colors in their language. I wanted to discover how the perception of color changes through different cultural representations or language. I did paintings of the different sound waves for the colors. I wanted to reveal the visual differences between each of the sounds chosen for the colors in each language. I am currently working on expanding the Color Language series with a silkscreen printed artist book. I am making two different books: Blue and Red. Each book represents the visual representation of the color. The covers are monochrome and the books unfold in an accordion style. When the book is opened, the color expands through the sound waves of the word in different languages. Color Language is a very important series for me and I feel I can continue to take it further.